After a tree is cut down, or fallen, some people are left with a stump on their property. The stump may not appear to be a threat to the lawn at first, but that's not always the case. Some of the downsides to not finding stump grinding in NJ can lead to bad soil and sinkholes. Over time, a tree stump that isn't properly taken care of can start to rot. The dead wood also becomes a breeding ground for termites and other wood boring insects. With a rotting tree stumping in the ground it can poison the soil causing grass and plants to die. The roots may even grow thicker, causing them to choke plants around them. Given enough time, a rotting stump can get so bad that the ground starts to sink in beneath the stump. This makes the soil around the stump particularly dangerous, it may collapse at any moment. It may come back as multiple trees so it is best to find stump removal in NJ to stop this from even happening. If this doesn't happen the stump will cause problems, including weeds and unwanted plants to grow. It is best to remove a tree stump once a tree has been cut down or fallen. If you are looking for tree stump removal in NJ, or any other tree services in NJ, call Amazing Tree Service today and speak with one of our trained tree professionals. 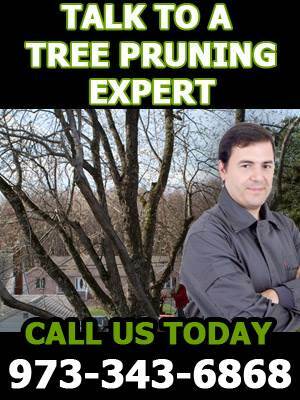 Our company is full licensed and insured, and we guarantee all of our tree services in NJ. During the spring and summer time the air can get very dry. You’ll want to keep these tips in mind when it comes to your trees. One thing that every one should do during these seasons is trim dead or diseased branches. Taking these steps will cause a change in growth. It is best to do this during the spring or summer because the tree can heal faster, if done in the fall or winter the tree may take a long time to heal or not heal at all. This is why it is a good idea to call a professional NJ tree pruning company, like Amazing Tree Service. Putting a nice mulch around the tree basically about 2 inches away from the trunk will reduce environmental stress for the tree. Mulch will give the tree a nice cool environment that contains more moisture than surrounding soil. The mulch also reduces the growth of weeds within it’s surroundings. Applying fertilizer around the tree is also a step you can take to ensure healthy growth. Fertilizer carries certain nutrients to help the tree function and grow. Keeping these helpful tips in mind your trees will stay healthy through out the spring and summer seasons. If you would like any information about Amazing Tree Services tree trimming services in NJ, call today for a free estimate.